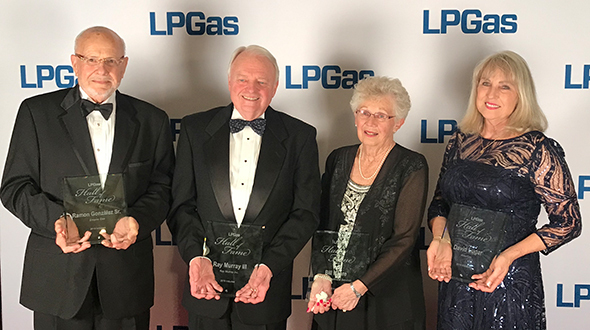 Autogas is nothing new for Northwest Propane Gas Co. – the Texas-based retailer began to convert vehicles to propane in the late 1940s, not long after the company’s launch. 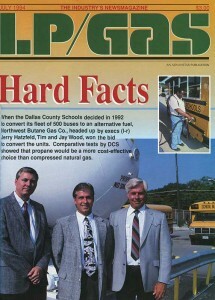 Northwest Propane’s partnership with Dallas County Schools was featured in the July 1994 issue of LP Gas. 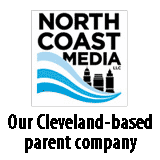 “My grandfather started conversions on vehicles with carbureted systems, including trucks, delivery vehicles and personal cars,” says Ben Wood, director of operations at Northwest Propane. 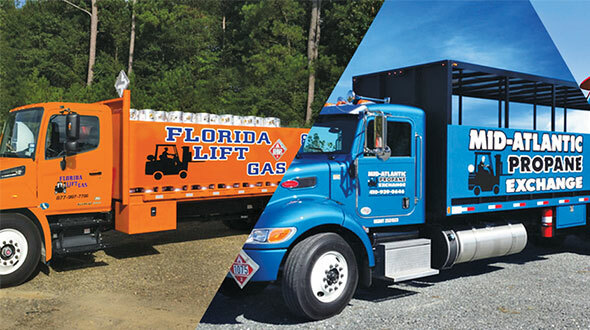 Northwest Propane continued to convert vehicles to propane autogas throughout its history. 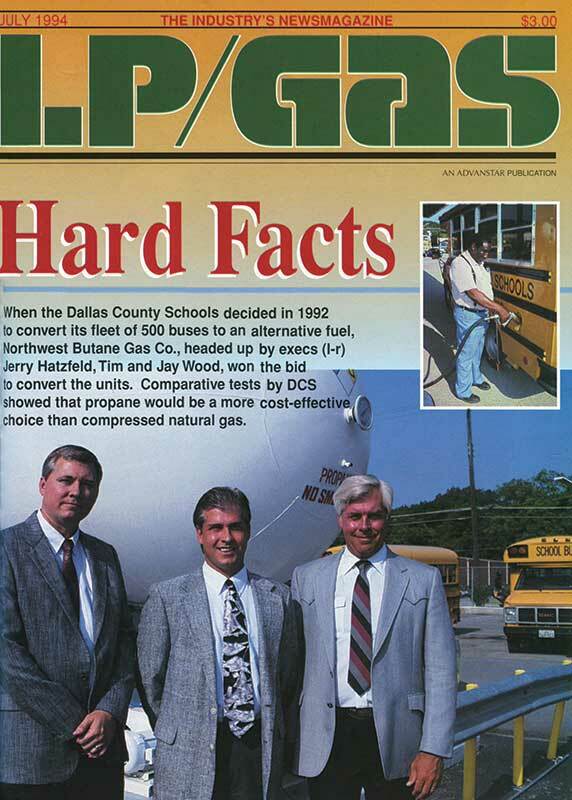 In the early 1990s, the retailer sold its first school district on autogas when the Dallas County Schools opted to convert about 500 school buses to propane. Propane came out a clear winner in the pilot project, as it was the more affordable and reliable option, Wood says. Northwest Propane helped to convert those 500 buses to propane and added a 30,000-gallon refueling site for Dallas County Schools. The district remains a Northwest Propane customer today, running 397 buses in its 2,078-bus fleet on propane. Although Dallas County Schools was an early adopter of propane-fueled school buses, industry experts say the number of school districts adding propane buses to their fleets is on the rise. According to the Propane Education & Research Council (PERC), it’s estimated that about 11,000 propane school buses have been sold in the United States between school districts and private fleet contractors in every state, with the exception of Alaska, Hawaii and Mississippi. Just last year, IC Bus added a propane bus option. 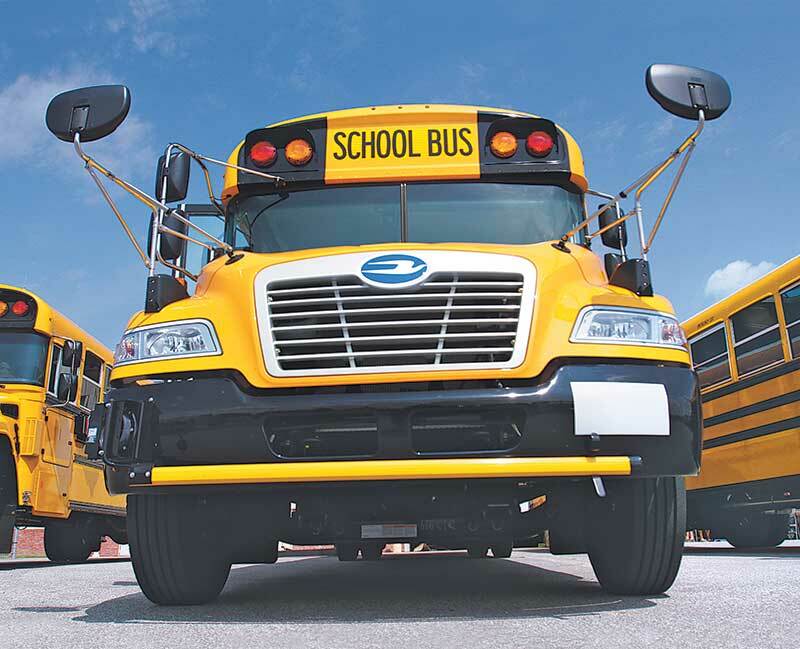 Now all four major school bus manufacturers – Blue Bird, Collins Bus Corp., IC Bus and Thomas Built Buses – offer a propane school bus model in their lineups, making the autogas option an easier sell to schools. These rising numbers indicate that the propane school bus isn’t a passing fad. According to PERC, the market is fairly self-sufficient, which can’t be said yet for most autogas and engine applications. Additionally, some schools had negative experiences with the propane buses of the 1970s and 1980s when they ran on carbureted systems, which featured a number of setbacks, Taylor adds. However, the propane school buses today run on liquid injection fuel systems, and this pairing seems to work better. The propane school bus even eliminates some of the headaches school districts face with diesel buses. Quietness, better emissions and smooth acceleration are some of the reasons school officials say they like propane buses. Although school administrators like Olsen rave about the emissions and fuel-cost savings of today’s propane buses, the propane bus didn’t always run this smoothly. 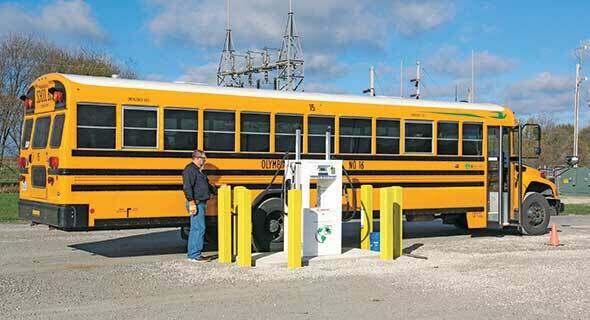 Until the mid-2000s, school districts had to convert diesel or gas buses to propane. Additionally, until the early 2000s, vehicles featured carburetion systems, which seemed to be a less viable option when paired with propane. However, as automotive technology transitioned to the liquid injection fuel systems in the early 2000s, propane engines ran much more smoothly than they had with carburetion systems. When using liquid injection fuel systems, propane operates similarly to gasoline, Jenkins says. With the new automotive technology, a handful of schools started to convert their diesel buses to propane. Propane bus sales, however, were limited to the number of certified aftermarket conversion kits available in the market. 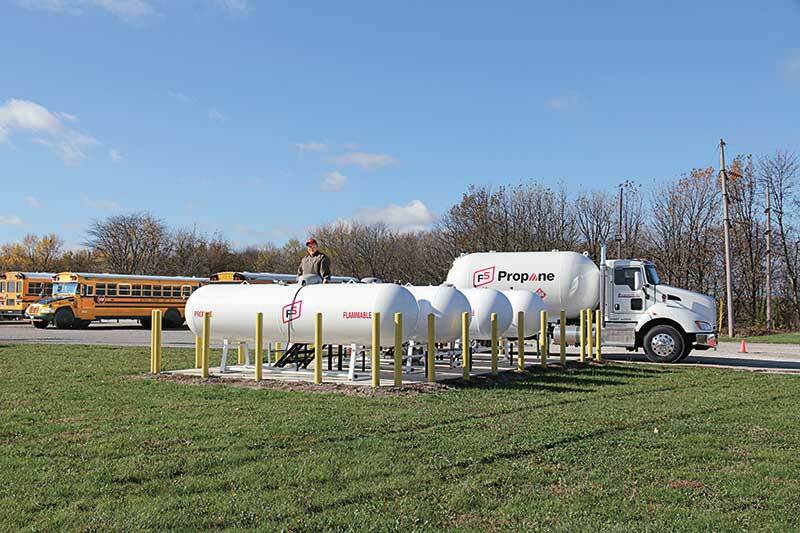 As propane buses grew in popularity, school districts in 2006 began to request that an original equipment manufacturer (OEM) offer a propane school bus. 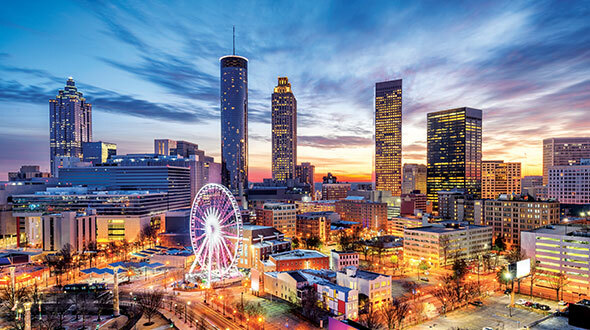 “There was a large calling from school districts who had already been running their fleet on propane to get a propane-powered school bus from the factory,” says Curtis Donaldson, president of CleanFuel USA. 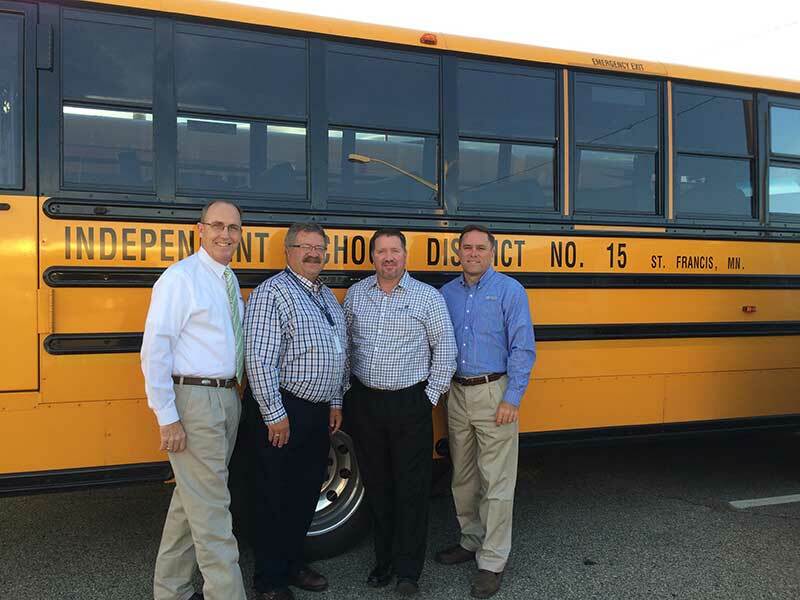 CleanFuel USA teamed with the Texas Railroad Commission and a handful of Texas-based school districts to approach Blue Bird about developing a factory-made propane school bus. Donaldson says their input was enough to convince Blue Bird to design the Blue Bird Propane Vision bus option that ran on the CleanFuel USA propane fuel injection system with a General Motors (GM) 8.1-liter engine. Blue Bird’s Propane Vision bus proved to be a steady seller, Jenkins says. Blue Bird sold 200 to 600 propane buses each year from 2007 to 2010 to customers across the United States. However, the bus manufacturer received an unlikely call from GM in 2011. Blue Bird CEO Phil Horlock had previously worked at Ford in a variety of executive positions. When the school bus manufacturer learned that GM planned to phase out the 8.1-liter engine, Horlock connected with Ford to find an alternative engine for its Propane Vision bus. Ford was interested in serving as Blue Bird’s engine provider, Horlock says. And Roush CleanTech already had an established relationship with Ford to supply a propane fuel system to the engine. “It didn’t take long to figure out that the Roush and Ford partnership would be good for us,” Jenkins adds. 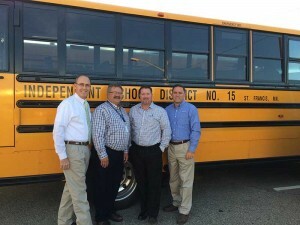 The partnership benefited all three companies, as well as the school districts seeking a propane bus and the retailers hoping to sell autogas to these new customers. Roush CleanTech’s business also grew as a result of the partnership. The propane bus market now comprises about 60 percent of Roush CleanTech’s business, says Todd Mouw, vice president of marketing and sales. 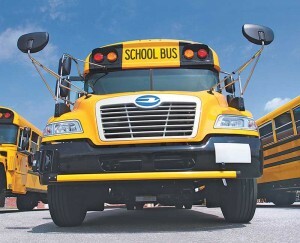 Roush CleanTech adapts Ford’s 6.8-liter V10 engine to run on propane autogas and power the Blue Bird Vision school bus. As more schools investigated Blue Bird’s propane bus option, other OEMs started to add propane bus options. Thomas Built Buses added a propane bus model to its lineup through a partnership with CleanFuel USA and GM in 2012. Collins Bus and IC Bus added propane bus options, as well, in 2009 and 2015, respectively. Jenkins says more competition among school bus manufacturers to sell propane buses is good for the market overall. With an increase in propane school bus sales, retailers can pursue new gallon-growth opportunities in the market. On average, a propane school bus burns about 4,000 gallons per year, Mouw says. With a decent-sized school bus fleet, those gallons can add up. For some retailers, the market already makes up a sizable portion of their sales. 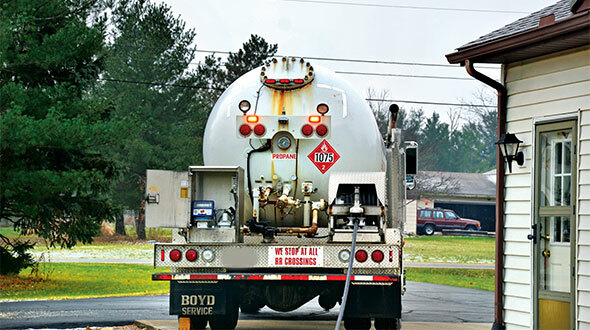 Overall, autogas comprises 10 to 15 percent of sales at Northwest Propane. Wood attributes his company’s autogas success to Texas’ willingness to adopt autogas. 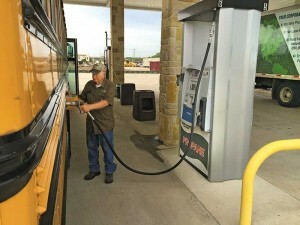 Efforts from the Texas Propane Gas Association, the Texas Railroad Commission, the Propane Council of Texas and PERC have also paid off and helped to boost school districts’ awareness of autogas in the state. The market isn’t just booming in Texas. The market is also growing in the Midwest, particularly in Iowa and Illinois, says Becky Hornblower, propane marketing and technical services manager at Growmark. She has seen a number of school districts in Iowa and Illinois commit to propane buses, including Olympia CUSD 16. 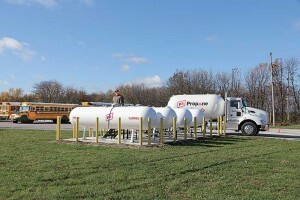 The school district partnered with Evergreen FS, a Growmark company, to test two propane school buses in the 2014-15 school year. It purchased 10 more in the 2015-16 school year. With the latest addition of propane buses, more than a third of the school district’s fleet now runs on autogas. The school district is saving about $2,700 per year in fuel and maintenance costs for each of its propane buses when compared to diesel buses. Although the school district spent about $4,000 more to purchase each of its propane buses instead of diesel buses, Olsen estimates it will regain that money in two years.